The Scientific Vision of the "Light-Material Interactions in Energy Conversion Energy Frontier Research Center" (LMI-EFRC) is to tailor the morphology, complex dielectric structure, and electronic properties of matter so as to sculpt the flow of sunlight and heat, enabling light conversion to electrical and chemical energy with unprecedented efficiency. 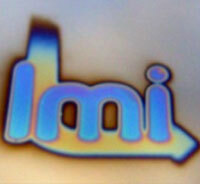 The LMI-EFRC has created a foundational partnership between scientific world leaders in optical properties of matter with internationally recognized experts in solar photovoltaics and energy conversion, and with innovators in the design and fabrication of novel electronic and photonic materials. The Center features a research team that spans the Caltech, Harvard Lawrence Berkeley National Laboratory (LBNL), Stanford, and University of Illinois, and campuses. In the LMI-EFRC, we are creating new methods and architectures for complex photonic materials for solar energy conversion, including metamaterials, transformation optics, plasmonics, photonic crystals and other dielectric spectrum-splitting and light trapping elements. These structures span dimensions ranging from the greater-than-wavelength scale to the subwavelength scale, and as a result, the LMI-EFRC has fostered a world-leading capability for fabrication of complex three-dimensional photonic nanostructures and light absorbers. Our long-term goal is to serve as the national resource for fundamental optical principles and phenomena relevant to solar energy conversion, and for design of the optical properties of materials and devices used for energy conversion.